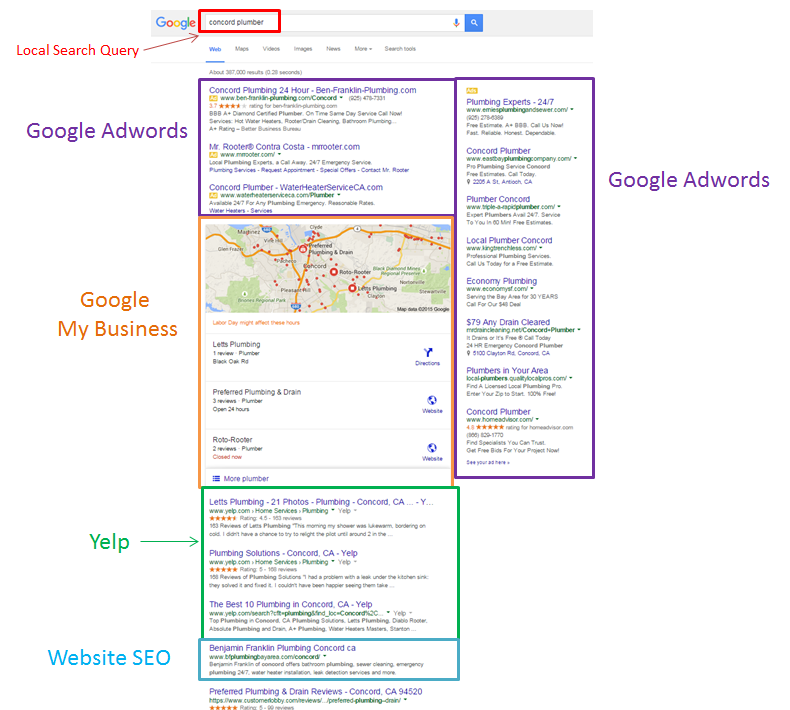 Recently Google changed the amount of Google My Business listings it shows on every page of search results. In the past, you could have seen up to 10 Google My Business listings. Then it went to the 7 pack of local listings. Google has confirmed that it will only show 3 Google My Business listings in local search results. If you ranked in position 4-10 you no longer show on those local map listings. What can you do to combat the Local Algorithm Shift? Google My Business - The second easiest way to show up for local search queries is to register your business with Google My Business. This is a free service offered by Google. This is were Google changed the local algorithm from a 7 pack of listings to only 3 listings as you can see in the screenshot. Support your Google+ account with 100s of other local directory listings to improve your ranking in Google local search results. Yelp - Google favors Yelp for local search queries. As you can see in the screenshot there are 3 listings that top the organic section of the local search query. Yelp is free to join and they even send you a weekly update of your listing if you claim your business. Some search queries will list yellowpages.com, whitepages.com and foursquare. Don't forget to submit your local listing to the top 4 databases that distribute local listings to 100s of local directories to capture more local search visibility. Website SEO - The last thing you can do to capture customers from local search queries is optimize your Website with SEO-Friendly URLs, title tags, body content & as many good links as you can find. 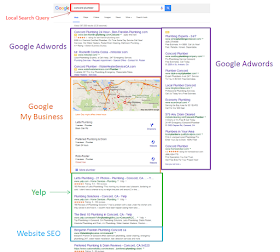 It is important to do all 4 tactics to capture visibility in local search results. Never know when Google will decide to change the algorithm and you want to have all your bases covered. Thank you for this good information. It is worth noting that the slant to Yelp is regional. If you search "Omaha Plumber" for example Yelp does not display on the first page. While Yelp is free to list their sales tactics in pushing their paid services border on the unethical.